World Diamond Bourse - Diamonds? A Diamond is a mineral made of carbon that is crystallized. In fact a diamond is more than 99.95% pure carbon. The remaining 0.05 percent of the elements often influence the crystal's color and shape. The diamond is also by far the hardest natural substance known to man. Diamonds form between 75 and 120 miles below the earth's surface. Only at these great depths do the necessary temperature and pressure exist to form this unique gem. Diamonds were delivered to the surface by volcanic eruptions.These eruptions occurred over 50 million years ago. Geologists believe that the first delivery occurred more than 2.5 billion years ago. After reaching the surface, some diamonds settled back into their volcanic pipes. Other diamonds were washed hundreds of miles away by floods and rivers. Some diamonds reached the oceans and were washed back onto the beach. The first diamond mines were discovered in India before 500 BC. India has been the world's major supplier of diamonds for over 2,000 years, producing some of the most famous diamonds. Today, India accounts for only a tiny percentage of the world's diamond production. 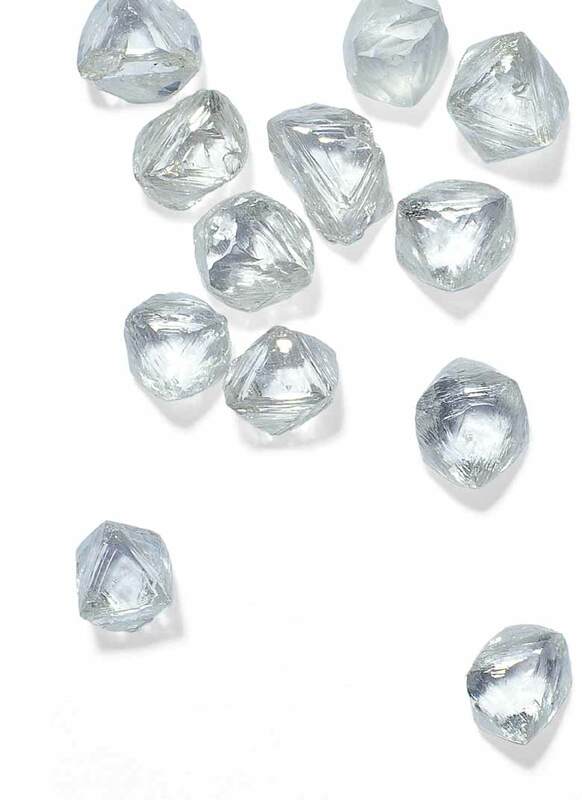 Today's diamond production leaders are currently Australia, Botswana, Russia, South Africa, Zaire and Canada. Before being transformed into a beautiful piece of jewelry, the diamond must undergo several stages. The diamonds that made it to the surface were forced up volcanically, through kimberlite pipes. A typical pipe mine consists of a large vertical shaft with tunnels running from the main pipe. The deepest mine runs about 3,500 feet down into the earth. More than 200 tons of rock, gravel and sand need to be blasted, crushed and processed to yield just one carat of gem quality diamonds. Finding diamonds and getting them out of the ground may require the use of jet engines to thaw the frozen ground or to endure the sweltering desert heat. 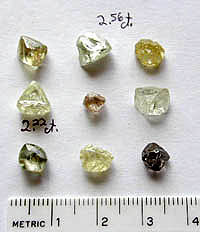 Only about 20% of all rough diamonds are suitable for polishing and selling as wholesale loose diamonds; the rest are used for industrial purposes. Once the rough is found the diamond's journey begins. 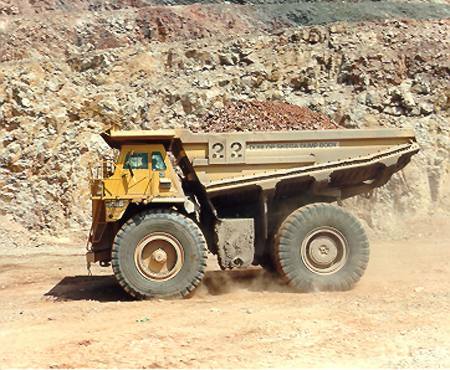 A large proportion of the world's rough supply finds its way to De Beers' Central Selling Organization (CSO). The rough the CSO buys is sorted into more than 5,000 different categories before they reach the wholesale loose diamonds production level. Once the rough is sorted and priced, it is sold to manufacturers at sights. There are ten sights a year, each lasting a week.The chosen few that are given the chance to purchase at these sights are called sightholders. The balance of the world's rough supply is sold to private buyers, and some through private auctions. Regardless of the source, all rough eventually finds its way to the cutting centers. Today, the major cutting centers are Antwerp, Israel, Bombay, Johannesburg, and New York. Upon reaching its destination the rough is carefully examined to decide how it should be cut to yield the greatest value. After the stone's shape and size are determined, taking into consideration the rough's shape, as well as the number and position of its internal inclusions, the stone is marked and usually sawed or cleaved. The stone then goes through a series of cutters who each have their own specialty. Finally the diamond is polished and ready for sale on the wholesale loose diamonds market. Worlddiamondbourse is optimized for recent web browsers. You are using an old web browser, please upgrade it.